Holiday Extras are thrilled to announce that we are now offering our customers parking at Airparks ShortRun Luton Airport. The facility holds the Park Mark - an award given to car parks after they are inspected by police to ensure security is top notch. 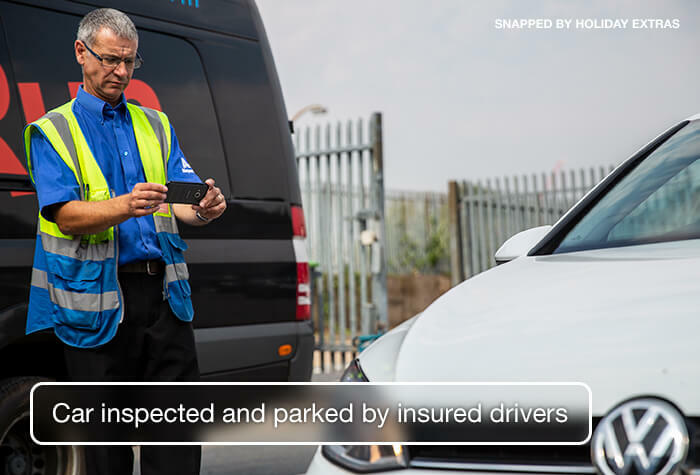 This award means the car park is reviewed annually to ensure it maintains its high standards, giving you peace of mind that your car is in safe hands whilst you're away. The car park is just 5 minutes away from the airport by transfer bus, and customers won't even need to worry about hunting for a space - the fully-insured drivers take care of that for you. When you arrive, park in front of the check-in building and register yourself with one of the on-hand staff inside. They'll ask for your confirmation, and give you a ticket - you'll need to keep this somewhere safe for when you get back. Then just hop on the transfer bus - it's included in the price. 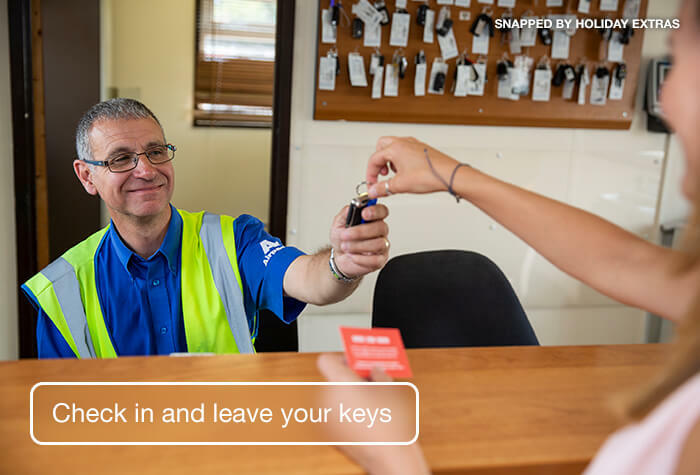 On your return, the bus runs on demand so just give the car park a ring on the number provided on your confirmation when you're ready to go. Hand in your ticket, pick up your keys and you'll be ready to go. 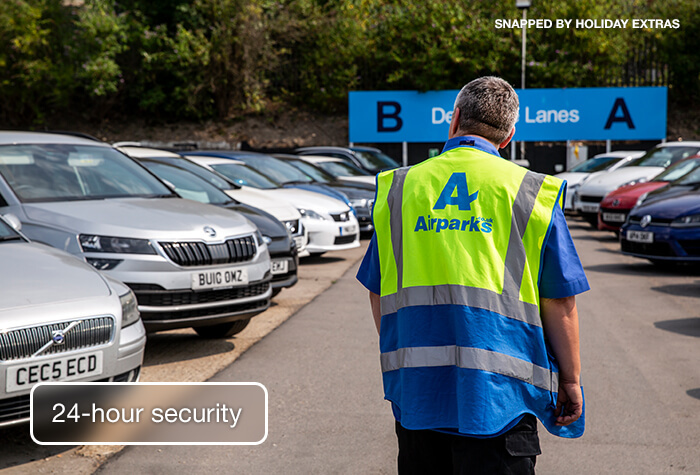 This is the only one of our Luton Airport car parks with the option to park in a bigger space, so we would recommend this facility for our customers with larger vehicles - the maximum length of a parking space here is 9.6m. We would always advise you to book as far in advance as possible - the sooner you book, the lower the cost. We used the Aspire lounge at Luton airport for the first time. Tasty food and drinks were provided in a very relaxing environment. Staff were polite and friendly but you only get the drinks that you ask for at the bar, nothing is offered and you are not told what drinks are included in your package. The toilet facilities need more regular cleaning and replenishing of stock i.e. toilet roll. Very helpful and quick staff. Booking-in excellent; transport to airport with no delay; pick-up waiting for us (after calling them from baggage hall); car ready for us. Could not have been easier! The staff were very friendly and helped us without luggage. This is the best car parking experience Iâ€ve had at Luton due to its location & ease to get in & out. great service, close to the airport, no waiting around. Already booked again for may. would recommend booking through Holiday extras as it was a lot cheaper. 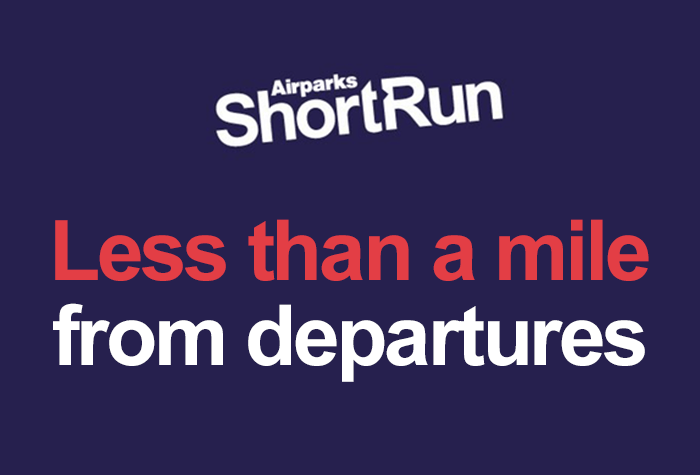 Our customers rated Airparks ShortRun on average 9/10 (605 reviews). Read Airparks ShortRun reviews. A fantastic car park with speedy transfers, less than a mile from departures! This handy car park has a no-hassle approach to parking, taking care of every stage for you you wont even need to park your car yourself! When you arrive, simply park in front of the check-in building and head inside to hand over your keys. Youll be given a ticket which youll need to keep with you until you return. Then all you need to do is hop on the bus for the five-minute ride to the terminal, while a member of the team parks your car for you. The shuttle bus is included in the price and runs on demand 24 hours a day. Please note the transfer drop off point is around a 5-minute walk from the terminal. Maximum vehicle dimensions are 2m wide x 2.1m high x 5m long. The car park cannot accept any high-sided vehicles, minibuses, mobile homes, lorries, caravans, trailers or vehicles larger than the above maximum dimensions. There are larger spaces for longer vehicles, but youll need to book the Larger vehicle package for those. Vehicles with a taxi license plate can be parked on-site, but cannot use the Return Greet or Meet and Greet services offered by ShortRun. Unfortunately the car park doesnt have any accessible spaces, and the buses arent wheelchair accessible. The car park is monitored round the clock by CCTV. If you have sports equipment or lots of luggage, you may need to wait during busy periods for a bus with more space so make sure you allow plenty of time to get to the airport. Then all you need to do is take the shuttle bus to the terminal. It runs on demand 24 hours a day, and only takes 5 minutes. When you return just give the car park a call and theyll arrange for the bus to come and collect you. Then hand in your ticket, collect your keys and pick up your car.